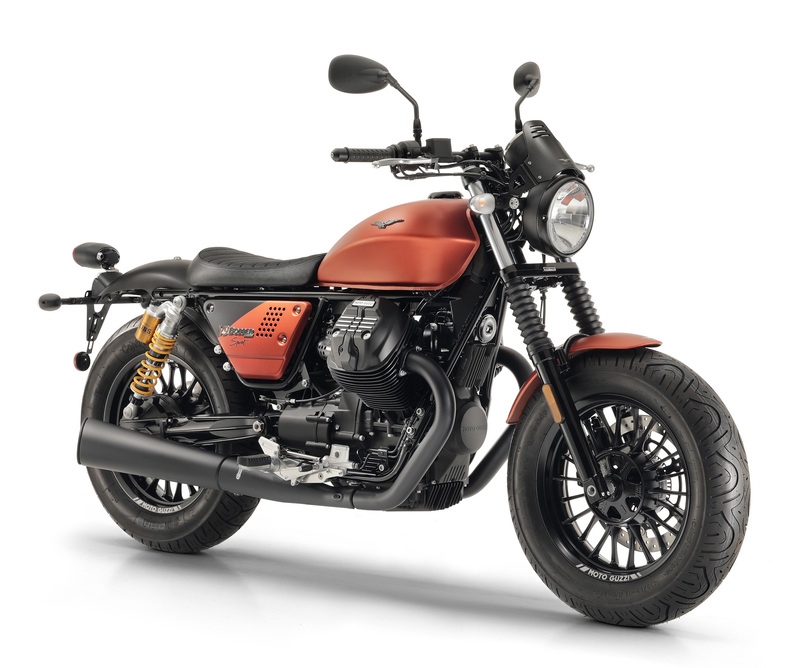 In what feels like our 19th post about new bike news in the past week, there’s yet another – Moto Guzzi’s V9 Bobber Sport – revealed to the public today at the Guzzi plant in Mandello del Lario. Guzzi say that it’s a “gritty addition” to the V9 range. 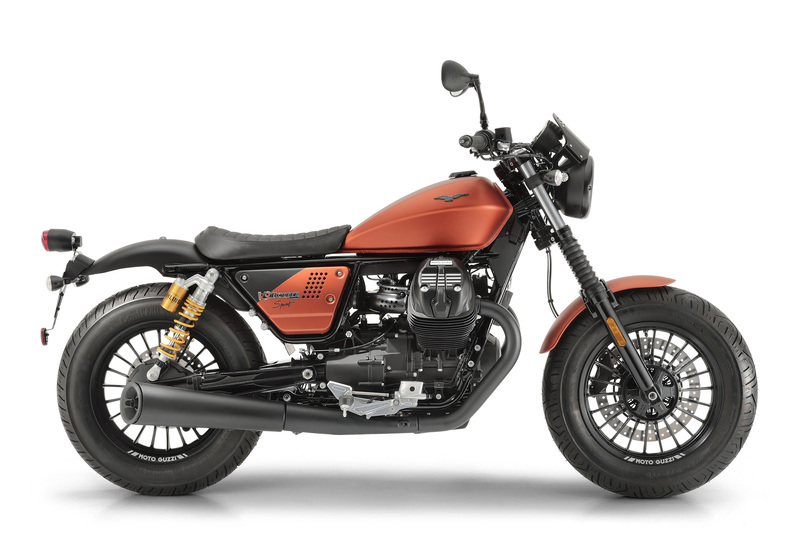 We’ll have to take their word for it given we’ve not seen the bike in the flesh, but if you want to, then you’ll find it on display at the Moto Guzzi Open House 2018 (7th – 9th September), in the same location as it was revealed at Mandello del Lario. Guzzi also say that the V9 is the bike that gave birth to the mid-capacity bobber segment. With blacked-out details, over-size tyres and old-school looks, it’s arguably a decent nod back to the bikes of yesteryear. The “sporty” element comes from its lowered single seat, low drag bar with low risers, flattened seat, shortened front mud guard and dual Ohlins shocks. It also comes in a dedicated orange colour scheme, and the headlight gets a black fly-screen which looks pretty nice. The rest appears to be unchanged. Sat in the frame is an 853cc air-and-oil cooled 90 degree v-twin which kicks out 55 HP at 6250 RPM. Torque reads as 45 lb-ft (62 M) at around 3,000 RPM. Pricing and availability will follow later this year, according to the press release.